To request Special Collections materials for use in the Reading Room, please create a USF Aeon user account. For best results, enable pop-ups windows. If you have any questions, e-mail Special Collections at SpecialCollectionsUSF@gmail.com, call 1-813-974-2731, or visit the Special Collections Reading Room on the 4th floor of the USF Tampa Library. Click the button below to log in with your USF Aeon username and password. First time users must complete a registration form. 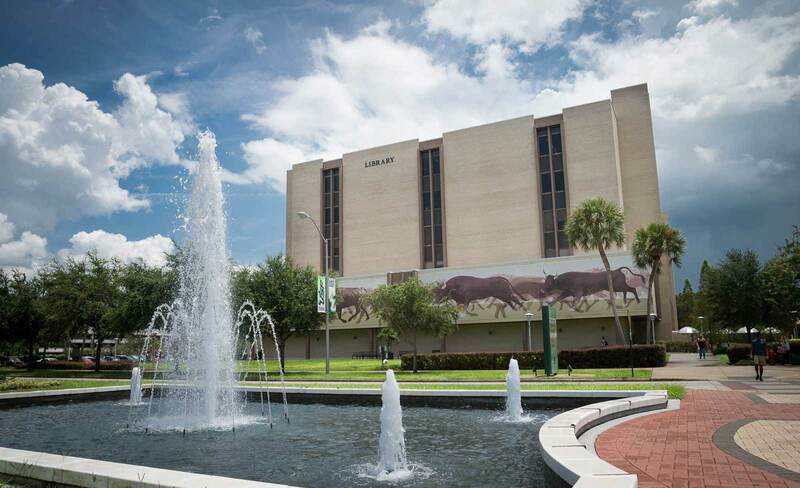 USF Tampa Library Special Collections uses Aeon, an online system for managing patron requests in the Special Collections Reading Room. Aeon is a web-based system that allows researchers to manage their Special Collections’ material requests online. Patrons no longer need to submit call slips and instead may request items online via their research account. Special Collections welcomes researchers, students, and community users and encourages the use of its collections in a safe, secure, and productive manner. The department has developed the following policies and procedures in concert with best practices developed by ACRL, RBMS, and SAA. Please see their joint statement for more information. All patrons are required to register via Aeon prior to using materials. All materials must be consulted in the reading room. Place requests via an Aeon account or ask the desk attendant for assistance. A staff member will retrieve all items requested; archival collections will be retrieved five (5) boxes at a time. Personal belongings, including briefcases, backpacks, purses, and notebooks, must be placed in a locker. Please ask the desk attendant for a key. Food, drink, and chewing gum are prohibited in the reading room. Patrons may use pencil and paper, laptop computers, or mobile devices to take notes. Pens may not be used. Pencils and paper are available upon request. Patrons are encouraged to wash their hands prior to using rare books and archival materials. Gloves will be provided for handling some photographic materials. Please do not place any items (e.g. writing materials, laptops, note cards, arms, jewelry, archival boxes, etc.) on top of materials. Book supports and snakes are available upon request. Please maintain the original order of manuscript and archival materials and do not remove fasteners. In order to ensure the security and integrity of all collections, Special Collections limits patrons to a single archival box and/or three published works at the work space. Patrons are asked to remove and re-file a single folder at a time from the archival box. Additional materials may be left with the desk attendant for easy access. We offer a variety of options for providing reproductions of our materials. Patrons may take pictures with their personal cameras and cell phones, though the camera’s flash may not be used. We also offer a self-service Bookeye scanner, which allows files to be saved to a patron’s USB drive or e-mailed directly from the scanner. We no longer provide photocopies. A staff member must approve all requests to photograph, scan, or otherwise reproduce materials. Staff reserves the right to refuse any digital reproduction request for copyright or preservation purposes. Please see below for additional information on copyright. The citation for Special Collections materials is: [Item], Special Collections, Tampa Library, University of South Florida. Many of the collections and individual items in Special Collections may be protected by copyright law (Title 17, United States Code). Special Collections may provide photocopies or other reproductions for private study, scholarship, and research in accordance with exceptions to copyright law for libraries. Special Collections staff cannot offer legal guidance or assistance in obtaining permission to publish copyrighted material. We will, however, be happy to help locate appropriate contact information when possible. Materials published prior to January 1, 1923 may be in the public domain, or no longer protected by copyright law, in the United States. Special Collections claims no intellectual property ownership rights over these materials or photographs and scans made of these materials. If reproducing material obtained through Special Collections we do request that you cite the Tampa Library’s Special Collections as the holding institution. The citation for Special Collections materials is: [Item], Special Collections, Tampa Library, University of South Florida. It is the responsibility of the user to observe applicable copyright laws as well as any applicable exemptions. If a researcher makes a request for, or later uses, a photocopy or reproduction of a copyrighted work for purposes in excess of “fair use,” that researcher may be liable for copyright infringement. For general information copyright, fair use, and determining the copyright status of a work, please consult the library’s Copyright Guide: http://guides.lib.usf.edu/copyright. Patrons will defend, indemnify, and hold harmless the Tampa Library Special Collections and University of South Florida Libraries, the University of South Florida, its board of regents, its officers, employees, and agents against all claims, demands, costs, and expenses, including attorneys’ fees incurred by copyright infringement or any other legal or regulatory cause of action arising from the use of Tampa Library Special Collections materials.